Complicite pays homage to Beckett but does it make him new? Beckett is less forbidding now than he might have seemed when he was alive, and certainly when his work was first performed. Over the last two decades, crueller and darker plays than his have been written, though none have matched his lyric ingenuity and his pained, sometimes devastating irony remains unsurpassed. Can Endgame, the bleak successor to Waiting for Godot and perhaps the oddest dramatic masterpiece of the 20th century, still hurt us? And what, I feel it legitimate to ask, might lie behind a desire to revive it in the West End? For Simon McBurney of Complicite, never shy of a tough ask, the simple answer to the latter is that a theatre, the Duchess, became available, as did two actors to play Hamm and Clov: veteran Richard Briers and the much younger Adrian Scarborough - commercial draws undoubtedly. They then became unavailable. McBurney quickly homed in on Mark Rylance. When I first heard about the production, I assumed he'd be playing the put-upon, wheelchair pusher Clov, and McBurney (something of a bossy master himself) the impossible, blind, monstrous Hamm. It's the other way round. 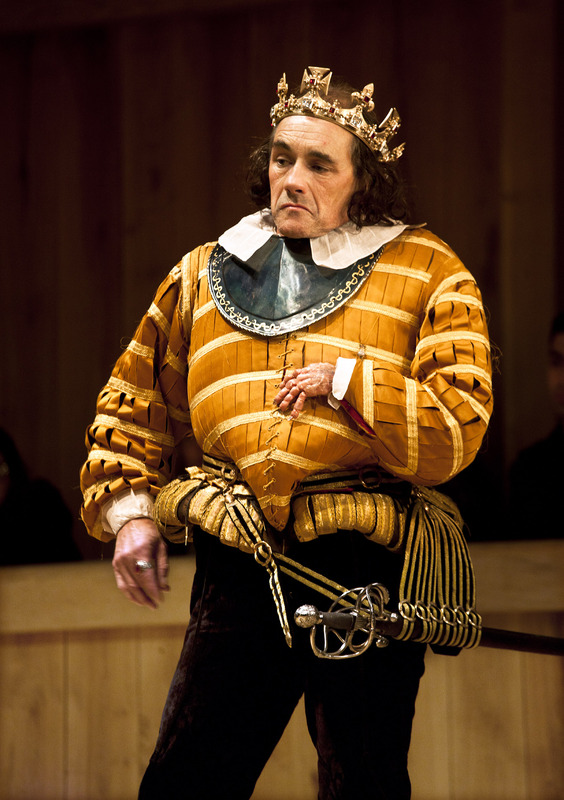 Rylance's Hamm is an animated, self-lacerating lout, McBurney's Clov an irritable peasant with a poetic tongue. It almost works terribly well. Endgame is a gift for the Complicite ethos: forged originally from his training in Paris, McBurney's pioneering enterprise is drenched in traditions of clowning, visual inventiveness and unabashed European experiment - perfect credentials for Beckett. But there's a risk that the sheer exuberance of Complicite might also harm Beckett's austerity, his rigour, his - as it must seem to us - still extraordinary struggle for an aesthetic of inaudibilities, which not a little of the language of Endgame strives to define. The risk is run and the result found, sometimes, wanting. Rylance is in full intellectual control of Hamm's demented mix of nostalgia and suicidal desires, but at the same time emotes too much: his hands conduct his idiotic storytelling when Beckett's words insist that he be still; he shouts, he vibrates; he's very musical - but he shouldn't be. Hamm should be much more deadpan, more tomb-like in his delivery; not preachy. My problem, then, with this production is with Rylance, which by implication is one that I must have with McBurney, who also directs. He's allowed his well-tested, multi-talented collaborator too much leeway, too much noise. His own Clov is studied and at times powerful in his hopelessness, but I wonder whether his director-actor role hasn't given him enough distance from the over-busy Rylance, though they clearly work well together. I don't want to come over as a mere curmudgeon: this is an atmospheric production and, barring some ill-chosen, grinding electronica as the curtain rises and falls, as intelligent a homage to Beckett as will be found in the 20th anniversary year of his death. The set - brick walls, two high, grubby windows, a wonderfully squeaky door into Clov's kitchen - suggests a godforsaken basement in an abandoned warehouse. In one dustbin, Tom Hickey is especially good as Nagg, by turns badgering and desperate, while Miriam Margolyes, in the thankless part of wife and fellow dustbin occupier Nell, gets the show's best laugh with her piteous "Ah, yesterday", when recalling not just her lost beauty but, as her grotesque circumstances now demonstrate, her lost self and life. One can never tire of Beckett's unique poetic mapping of regret.